The “GeoBee” competition was established by the National Geographic Society in 1988 to promote geographic knowledge among young people, as well as to inspire and reward students' curiosity about the world. Students in grades 4-8 from more than 500 schools across the United States began the competition at their schools where a champion was named. Ghosh was named champion at Center Street School and advanced to an online qualifying test where he ranked among the top 100 students in California. 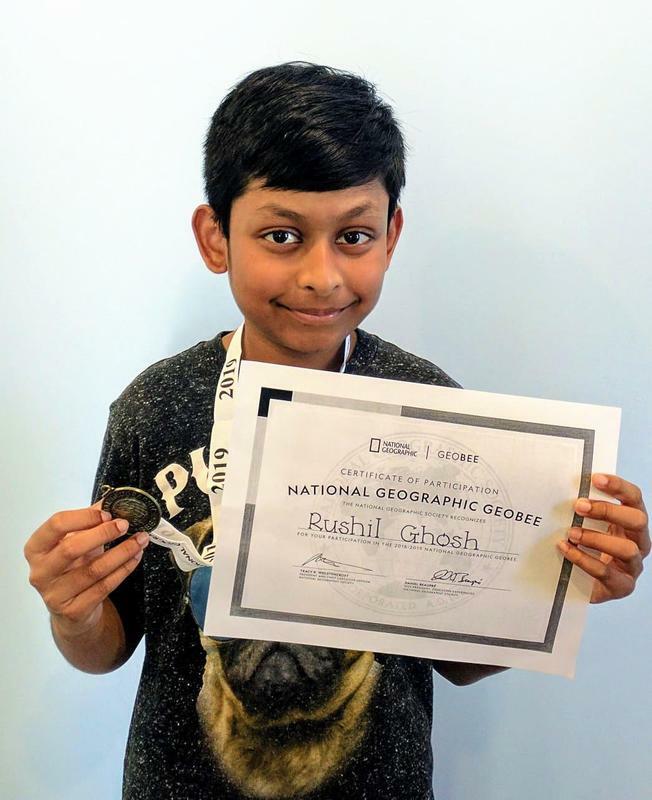 Ghosh will travel to California State University, Fresno to compete in the California State GeoBee Competition on March 29. The winners from each state level competition will represent his or her respective state in the national championship in May in Washington, D.C. for a chance to win college scholarships and the achievement of being the National Geographic GeoBee Champion.